Your peas are growing and have produced a good crop. You may be wondering when to pick peas for the best flavor and long-lasting nutrients. Learning when to harvest peas isn’t difficult. A combination of planting time, growing conditions and type of pea leads to picking peas at the best time. Both tender hulls and seeds of peas are edible. Tender, edible pods come from the early harvest. Learning how to harvest pea seeds and how to harvest pea pods is a matter of timing and which part of the vegetable you prefer to use. Sugar snap pea varieties should be tender, with immature seeds, when harvesting peas for pods. Snow peas are ready for harvest when pods are developed, before pea seeds appear. Garden (English) peas, grown for seeds, should be developed but still hold tender peas when harvesting. Begin checking the peas at the appropriate date after planting and begin harvesting peas that are the most mature. 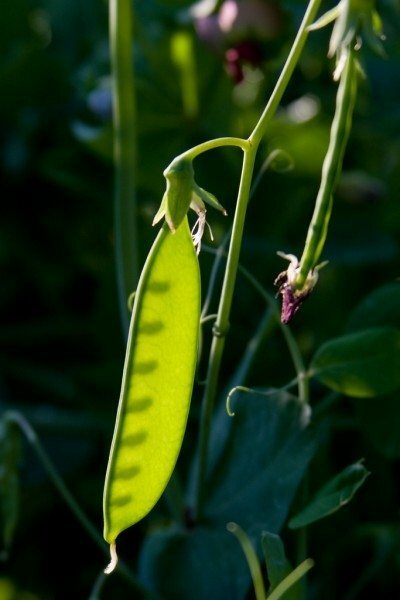 Harvesting peas for edible pods can occur as early as 54 days after planting if you’ve planted an early variety. When harvesting for pea pods, you can harvest when the pods are flat but at the right length for your variety of peas. When to pick peas is determined by what you want from the pea. 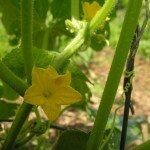 If you prefer edible hulls with developed seeds, allow more time before picking peas. When you are picking peas for the pea seeds, pods should be plump and have a swollen appearance. Check a few of the biggest pods randomly to see if they are the size you want. This, in combination with the number of days since planting, guides you on how to harvest pea seeds. Once you’ve started harvesting peas, check them daily. When to harvest peas a second time depends on their growth, which can vary by the outdoor temperature. Some more peas may be ready for the second harvest in a day or two. The time frame for the entire pea harvest usually lasts one to two weeks if all peas were planted at the same time. Harvest as many times as needed to remove all peas from the vines. Successive plantings allow a continuing supply of seeds and hulls ready to harvest. 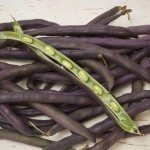 Now that you’ve learned how to harvest pea pods and seeds, try a crop of this nutritious vegetable. Check the seed packet for harvest times, mark it on the calendar and keep an eye on your crop for early development, particularly during optimum growing conditions. After harvesting peas, place the unused pea hulls and foliage in the compost pile or turn under into the growing patch. These are nitrogen rich and provide nutrients far superior to chemical fertilizers in the soil. 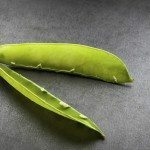 Read more articles about Peas.